Latimer Hinks, one of the region’s leading solicitors, is calling time on its innovative 125 Challenge and has raised more than £2000, with further funds still to come in. The Darlington-based company issued the challenge to local businesses to make as much money as possible for the Darlington and Bishop Auckland MRI Scanner Appeal. The Appeal aims to provide the latest state-of-the-art MRI scanning technology to Darlington Memorial Hospital and Bishop Auckland General Hospital. 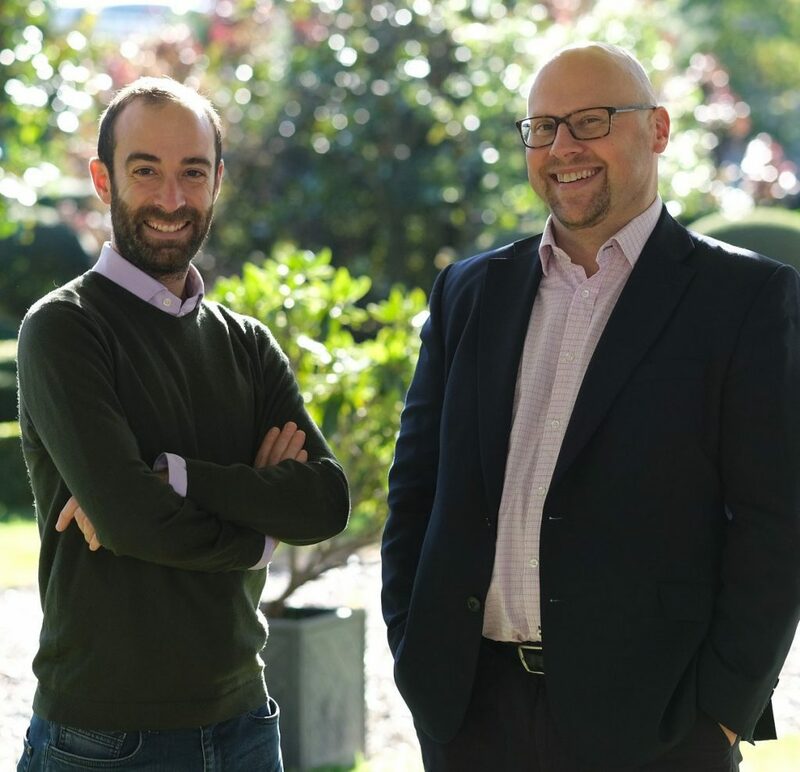 Latimer Hinks issued each team with £125 – as part of its 125thanniversary celebrations – to be used to fundraise as much as each team could over a three-month period. The winner, Darlington firm Terry Kneeshaw Art, was presented with a special award from Latimer Hinks, the company already having donated £7,500 to the Appeal. Terry Kneeshaw Art invested the £125 in A3 prints of a unique piece of artwork featuring North East landmarks specially created for the Appeal by Terry Kneeshaw. Prints were sold for £5 each through the artist’s website, and were purchased by supporters from as far afield as France and Australia, as well as across the UK. By the end of the challenge more than £1300 was raised for the appeal. The original, produced in watercolour and ink, was commissioned by Maguires Country Parks for its marketing materials, and will be auctioned at the NHS MRI Scanner Appeal Ball at Hardwick Hall on Friday 23 November, to raise more money for the charity. Newton Aycliffe’s Now Plastics raised an impressive £625 through a charity golf day. Darlington and Stockton companies MT Print and Ocreas Finance pooled their funds to print a set of bespoke Christmas Cards, which they will continue to sell through the festive season. 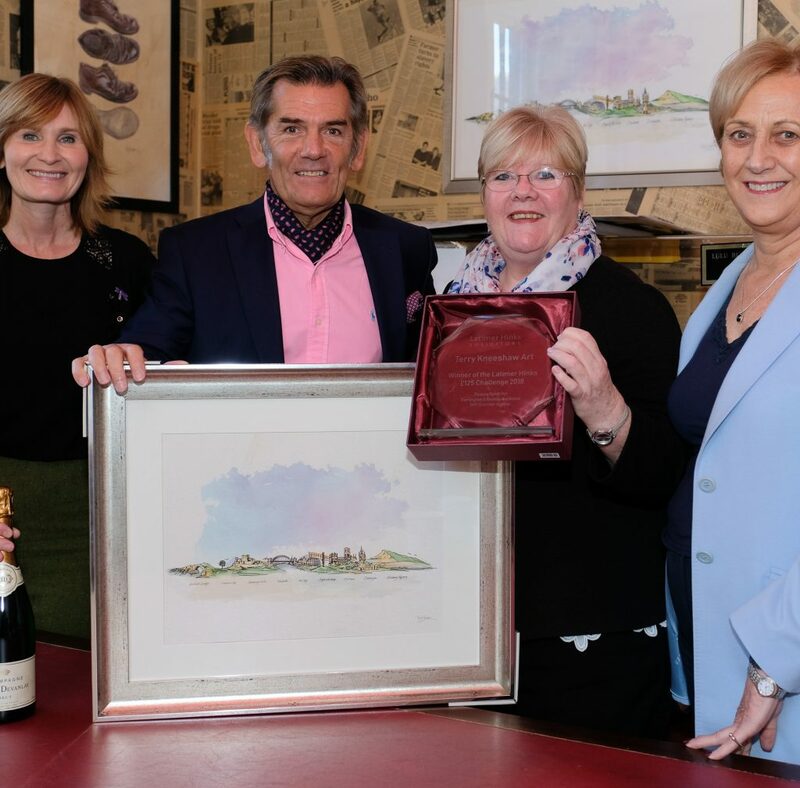 Anne Elliott, Chief Executive of Latimer Hinks Solicitors, said: “On behalf of everyone at Latimer Hinks, I’d like to say thank you to all those that took part in the challenge and congratulations to Terry Kneeshaw Art for their marvellous fundraising efforts. They are worthy winners. “The competition has been a great opportunity to highlight this worthwhile Appeal to businesses throughout the area. I hope others will follow their lead and support the Scanner Appeal in whatever way they can.